Cincinnatus Heine Miller, better known as Joaquin Miller, was born in Liberty, Indiana on September 8, 1837, but later, for unknown reasons, changed his date of birth to November 10, 1841. While yet a boy he went to Oregon and later, during the Gold Rush years, to California. He led an adventurous life, living among and cooking for the miners, fighting the Indians, becoming a Pony Express rider, writing for a newspaper, practicing law, and becoming a county judge. In 1868, Miller paid for the publication of 500 copies of his first book of poetry, Specimens. It was not popular and Miller gave away more copies than he sold. The author’s despair and disappointment was reflected in his second book, Joaquin et al., the next year. Miller then went to England, where he gained much popularity by capitalizing on his image as a rough Western frontiersman. There, in May 1871, Miller published Songs of the Sierras, the book which finalized his nickname as the “Poet of the Sierras”. Relocating then to New York, then to Oregon, and finally settling back in California, Miller wrote Songs of the Sun-Lands, and The Ship in the Desert. Miller’s poem Columbus was widely known, being memorized and recited by schoolchildren everywhere. Unit Study for Pedro’s Journal, about a young boy aboard Columbus’ ship. Sea Biscuits, just like Columbus and his crew would have eaten! Don Freeman was born on August 11, 1908. He loved writing and illustrating children’s books, and he is famous for bringing to life a beloved bear named Corduroy. We happen to like Corduroy and Don Freeman a lot at Homeschool Share; we offer FIVE unit studies based on his books. For your youngest students (ages 2-4), we have a Corduroy Lapbook. Color, cut, paste, learn about rhyming words, find a mystery toy, make button patterns, and more! Don’t miss this one. If you enjoy the Corduroy Lapbook with your preschooler, you should also try our A Pocket for Corduroy Unit Study. Lisa takes her beloved bear to the Laundromat where Corduroy realizes he doesn’t have any pockets. Corduroy goes on a funny journey looking for one. In the end, Lisa sews a pocket on Corduroy’s green overalls, and tucks his name inside. Ages 4-6 will have fun with a Level 2 unit based on Freeman’s book, Dandelion. Dandelion reminds us all that we don’t need to try to impress our real friends. Lessons include: lions, weather, listmaking, being yourself, counting, shapes, occupations, learning your address, and more! Earl the Squirrel is one of Freeman’s lesser known books, but Earl’s adventure is one worth reading. Our Squirrel Unit Study and Lapbook incorporates this book for the main lessons. Targeted age group: ages 4-8. Our unit based on Freeman’s Norman the Doorman is for ages 8-10 and includes a wide range of topics for study: Greece/Greek Myths, armor, museums, hobbies, mice, snow, iron, bronze, cheese, simile, singular/plural, capitalization, homophones, fractions, doing your best, sculpture, and more! You can choose one (or more) of these units and celebrate the work of Don Freeman this month! iHomeschool Network is celebrating lots of birthdays! Check out the other Birthday Lessons in August posts. Summer is the perfect time to study all things creeping, crawling, and flying. Lots of children are fascinated by caterpillars and the metamorphosis they undergo. Your little learners can enjoy our Very Hungry Caterpillar unit study and printables. Your older students will absorb lots of information from our Butterfly Lapbook lessons and printables. Check out this simple pasta craft depicting the lifecycle of the butterfly. Supplies Needed: shell pasta, bow tie pasta, spiral pasta, 3 navy beans, a twig, green construction paper (for leaves), and a paper plate. Directions: Ask your student to draw a + on her paper plate. Write the four stages of the lifecycle on the plate: eggs, caterpillar, chrysalis, and butterfly. Cut out two leaves from the construction paper. Glue one to the eggs section. Add three beans for eggs. Glue another leaf to the caterpillar section. Add the spiral pasta. Glue the twig to the chrysalis section. Add the shell pasta. Finally, glue the bow tie pasta to the butterfly section. Add antenna with a marker. If you’d like to give your butterfly study a boost, add other snack, craft, project, and art ideas from our butterfly themed Pinterest board. This post is part of iHomeschool Network’s Summer Hopscotch. Check out the other blogs to find oven free meals, summer nature studies, frugal summer fun, and more! Ralph Waldo Emerson was born on May 25, 1803, in Boston, Massachusetts. His father, a Unitarian minister, died when Emerson was eight years of age. Raised by his mother and aunt, Ralph Waldo Emerson began writing as a child. He attended the Boston Latin School, where he studied the classics. After graduating from Harvard College in 1821, Emerson became a Unitarian minister like his father. However, after his wife’s death in 1831, he began doubting his faith and turned to Transcendentalism, a philosophy based on metaphysical idealism developed by Plato. In its simplest terms, transcendentalism can be explained as having faith in ones own intellect or instinct as opposed to a faith in God. He formed the Transcendental Club in 1836 in Boston, Massachusetts, giving many lectures and publishing various works including the essay entitled “Self Reliance”. Earning a reputation as a major American poet, Emerson published his collected Poems in 1847 and May-Day in 1867. Ralph Waldo Emerson died on April 27, 1882 in Concord, Massachusetts. The Bobbin Girl by Emily Arnold McCulley about the Lowell, Massachusetts factory girls who were inspired by the writings and lectures of Ralph Waldo Emerson. More of Emerson’s poetry here. 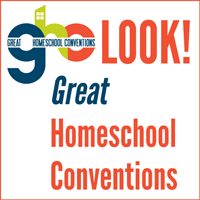 …all found on Homeschool Share’s USA Connections Page. Free Honeybee Unit Study and Lapbook. These sweet soft honey cookies and serve with honey-lemon tea!